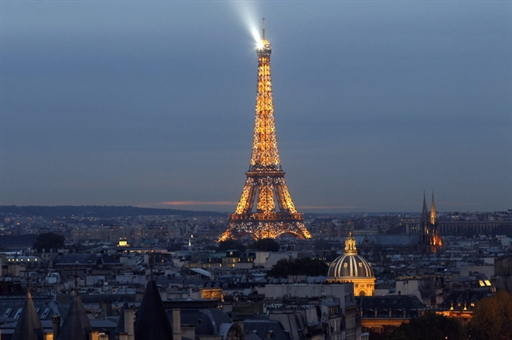 Last year there were more than 28 million of you who visited Paris. Too many? Yes, if you’re the ones lining up in front of the museums. But not for the hotel managers and the people of the tourism industry in Paris. They are actually happy that the crisis seems to be over. For the current year, official numbers from the tourism agency are promising too. January, normally a sluggish month, was doing a great job with 1,13 million tourists, 7,2% more than last year. This is probably not thanks to foreigners, but thanks to a rising number of French travellers coming to Paris, the ones they call the provincials here. The revolutions in Arab countries play here, because they've also toppled the favorite spring destinations of Frenchmen in a way. Tunisia, Morocco and Egypt seem too dangerous to many these days – and they obviously preferred travelling from the backwaters right to their capital. “Two or three hours with the TGV, the high speed train, and they are here, roaming the streets of Paris, enjoying the warm weather and a café or a nice dinner outside”, said Martine Profichel from the Synhorcat, an association of hotels - and restaurant managers. Now you might wonder which of you loves Paris more than the others? Well, according to the latest official numbers, the Americans represent the biggest group of tourists in Paris (1 225 034 last year). Our English friends occupy place number two with more than a million tourists. The Italians rank three (721 141), the Spanish four (601 112), followed by Germans and Japanese with about half a million visitors each. With the opening of the Shangri-La, the reopening of the Royal Monceau Raffles and the upcoming opening of the Mandarin Oriental, I was wondering how they could possibly fill their high-end rooms and lobbies in the future. But apparently, a hotel chain manager doesn’t open a new palace just like that without studying the market. Which means - these managers seem to assume that, in the long run, Paris will attract even more people, including lots of visitors coming from countries that are called the "emerging markets" nowadays. The number of international hotel arrivals is expected to reach 12 million by 2020 (compared to around 8 million today), including 2 million visitors from Asia, according to the Paris Convention and Visitors Bureau.